The seax is the name given to a particular long bladed knife associated closely with the Saxons – the tribe of Germanic peoples that originated in the area we called lower Saxony today and who migrated inthe 5th and 6th centuries to Britain. They settled in the south east. 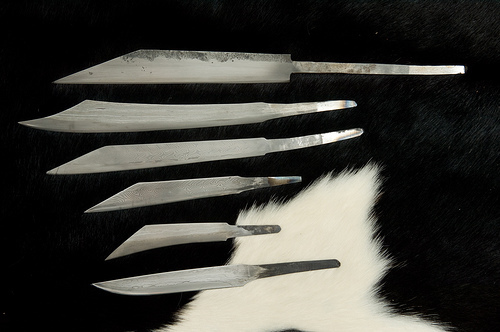 The knives gradually grew larger, and broader. They are sometimes straight, sometimes curved but all tend to have a single edge and often a broken back. Why are they so significant? Well for one thing some of the examples that have been found over the years have helped us understand WHERE the Saxons migrated to as they have been found in burial sites, the dating of which sheds light on the progress of the spread into Britain. Furthermore one particular seax has helped us understand the runes used by the Anglo-Saxons. The Seax of Beagnoth was found in the river Thames in 1857 and dates to 9th century. Inscribed upon it is a complete 28 character set of the FUTHORC or old english runic alphabet. It also contains the name of the blades owner. Whoever Beagnoth was he must have been rich and also I imagine very irritated to loose such a fine weapon. What though did I mean by a knife becoming the name of a people. Well this is of course the Saxons. The very word means “Men of the Seax” or “Men of the sword”. A race who adopted a weapon and in time were named after it. The use of Seax as the name for a blade still lingers today in the word Sax, Sack or Zax which is a roofers tool for cutting tiles. 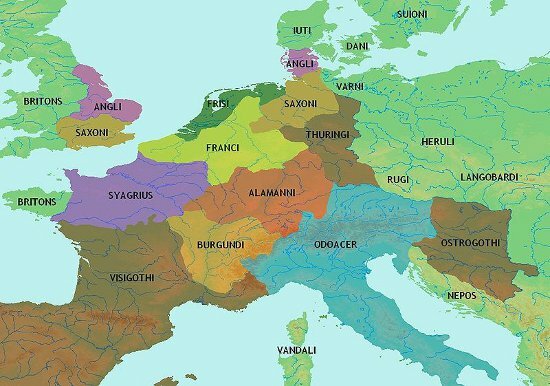 In time the Saxons merged with the Jutes and Angles and became Anglo-Saxon and one day the English but their name lives on in that of several English counties: Sussex, Middlesex and Essex (once the lands of the South-Saxons, the Middle-Saxons and the East-Saxons.) The old Kingdom of Wessex was the lands of the West-Saxons. 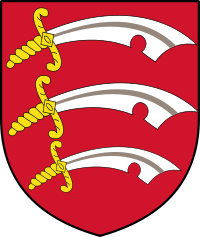 As a faint reminder of the origins of their names two of these counties still show a seax in their coats of arms. 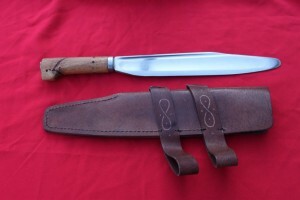 I own a seax as well as a Saxon sword and a number of items of clothing and armour. I am happy to visit schools as well as historical societies to talk about them, the Saxons and my books that cover this fascinating period.